Ahmed, Rukhsana. "Interface of Political Opportunism and Islamic Extremism in Bangladesh: Rhetorical Identification in Government Response." Communication Studies 60.1 (Jan. 2009): 82-96.
Cooper, Troy B. "Appropriating Visual Form: The iPod “Silhouette” Campaign as Representative Form." Visual Communication Quarterly 16.2 (Apr. 2009): 90-107. Crable, Bryan. "Distance as Ultimate Motive: A Dialectical Interpretation of A Rhetoric of Motives." RSQ: Rhetoric Society Quarterly 39.3 (2009): 213-239. Fine, Marlene G. "Women Leaders' Discursive Constructions of Leadership." Women's Studies in Communication 32.2 (Spring2009 2009): 180-202. Hawhee, Debra. 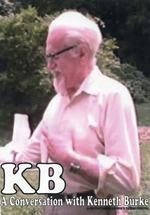 "Kenneth Burke and American Studies: A Response to Giorgio Mariani." American Literary History 21.1 (n.d.): 123-127. McClure, Kevin. "Resurrecting the Narrative Paradigm: Identification and the Case of Young Earth Creationism." Rhetoric Society Quarterly 39.2 (n.d.): 189-211. Waisanen, Don J. "A Citizen's Guides to Democracy Inaction: Jon Stewart and Stephen Colbert's Comic Rhetorical Criticism." Southern Communication Journal 74.2 (Mar. 2009): 119-140. Weiser, M. Elizabeth. “‘As Usual I Fell on the Bias’: Kenneth Burke's Situated Dialectic.” Philosophy & Rhetoric 42.2 (May 2009): 134-153. Zappen, James P. "Kenneth Burke on Dialectical-Rhetorical Transcendence." Philosophy & Rhetoric 42.3 (Aug. 2009): 279-301.